Responding to an advert for a cameraman, Aaron (Patrick Brice) drives to a remote cabin in the woods to meet Josef (Mark Duplass). Josef explains that he has brain cancer and only a few months to live. Having seen Michael Keaton in the film My Life, Josef wants to record a day in his life to leave as a record for his unborn son. Aaron sets to work. However, before long, he begins to suspect that all is not as it seems. Creep’s title really tells you all that you need to know. This film is full on creepy and deeply unsettling from the very start to the bitter end. First, let's get one thing out of the way. Yes, the film uses the now dreaded found footage device. However, in this instance, found footage actually makes sense. Aaron has been hired to film Josef’s day. He then needs to keep filming for his own safety. 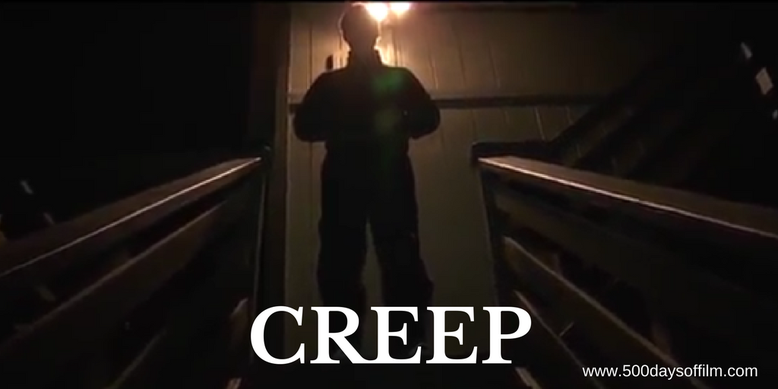 Creep contains a few pretty effective jump scares. However, the film is mostly concerned with creating a sensation of unease, tension and suspense - an aim it achieves. In what is basically a two-hander, Brice and Duplass both give solid performances. Duplass's portrayal of Josef is just so odd that he made me feel supremely uncomfortable. This, of course, all adds to the building sense of dread. I did not know where this film was going - apart from nowhere good. Patrick Brice directed Creep and both he and Mark Duplass wrote the screenplay. I watched Creep on Netflix - couldn't seem to find it anywhere else actually. What did you think about this found footage movie? Did it work for you? Do let me know in the comments section below!